So I just learned this week how to connect to my Retropie using Filezilla (I'm using ethernet). Yesterday I connected for the first time following a guide another member posted for me, and it connected immediately and I was transferring files. This morning I'm trying again using the same exact connection settings, but I'm getting a connection error:... (Note: Every time you start the FTP server the IP address will be different, so you will have to update the number saved on Filezilla.) I will show you both ways. I will show you both ways. 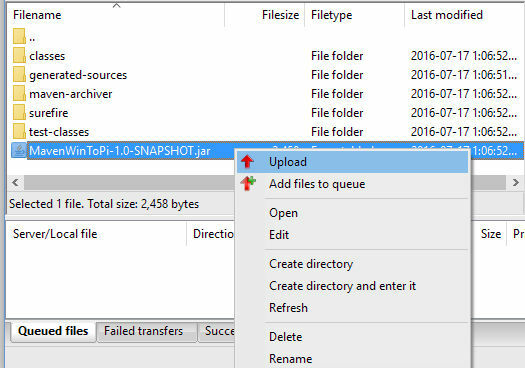 If you want to do it manually, merely fill in the required spaced at the top of the FileZilla window and hit “quick connect”. At first, open FileZilla from your computer. You need to enter Host, Username and Password here. You need to enter Host, Username and Password here. Host : It could be yourdomain.com or ftp.yourdomain.com or your domain IP.... If this is the first time logging into the server, you will see the message. This message warns you are connecting to a remote machine; click Yes . WinSCP will connect you to the Nexcess server and you will see the window shown below. When launched the first time, the server address for Connect to Server will always be 127.0.0.1, your localhost, since you have the FTP Server running locally, using the GUI to connect to the server will be local as well. By default, you don’t need to supply any Administration password. You can leave the port to default 14147 as well, if you don’t want to change. 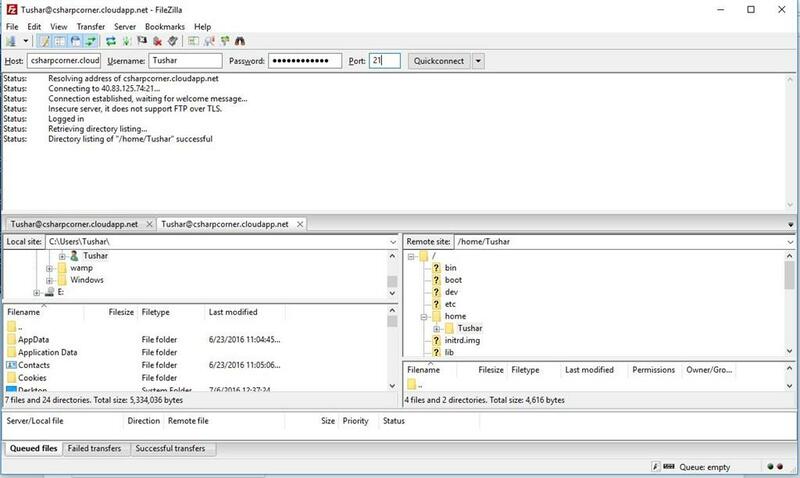 We always use standard ports for our default services, if you wish to use FTP or FTPS, connect on port: 21 (or leave it blank), if you wish to use SFTP, connect on port: 22 The bottom part of FileZilla will show you ongoing transfers, including the total queued size.